Patiently waiting for spring days and summer nights, Therefore to get us in the mood, we're giving away two amazing outdoor decor insirational books to help fuel all of those outdoor fantasies. She Sheds: A Room Of Your Own by Erika Kotite is published by Cool Springs Press. A treetop bedroom, complete with ornate iron bed, luxurious throws and chunky knit cushions. 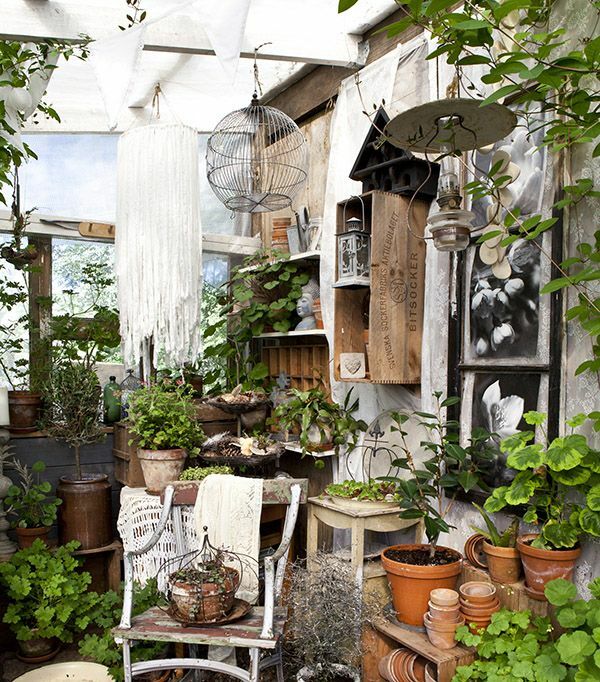 Terracotta pots, crate storage, rustic birdhouses and vintage lanterns transform a potting shed corner into a country gardener’s retreat. Shed Decor by Sally Coulthard is published by Jacqui Small Publishing. Terms and conditions: The prize draw is open to individuals in the UK residents aged 18 or over. Any person or persons connected with Heart Home magazine, without limit, their families, agents, or anyone else involved in the administration of this offer are not eligible to enter. All entries must be received by 06:00 2nd April. By entering this competition you consent to share your email, name and postcode with Heart Home magazine, who may wish to send you mailings in the future. There will be one winner who will receive the prize above. The prize must be accepted as offered (there are no cash alternatives) and they are non-transferable and non-refundable. The winners will be chosen from the list, at random, on 3rd April and the winners will be notified by email or post within 7 days. No correspondence will be entered into. Unclaimed prizes will be redrawn after 28 days of the original draw. Heart Home magazine reserves the right to replace the prize with a product of equal value, if necessary. The winners will be asked to confirm their postal address before the prize is awarded. Details of the winners may be posted on the Heart Home magazine website and Facebook page. By entering this competition, you automatically agree to the terms and conditions above. Promoter: Heart Home magazine, 4 Oak Crescent, Wickford, Essex, SS11 7FF.